I believe all of us have bought products that we aren’t able to use throughout the year. Maybe they’re seasonal or maybe they only fit a certain style. What if I told you there are products out there that are so versatile, you can stretch them and use them in many ways, for different styles of cards and seasons? Well, today I’m sharing with you two totally different cards using the same product. This is the first post on a series that I think could help you achieve a much more versatile and enjoyable cardmaking process, saving you time and money along the way. Today I am featuring a kind of product everyone should have in their stash, a kit. 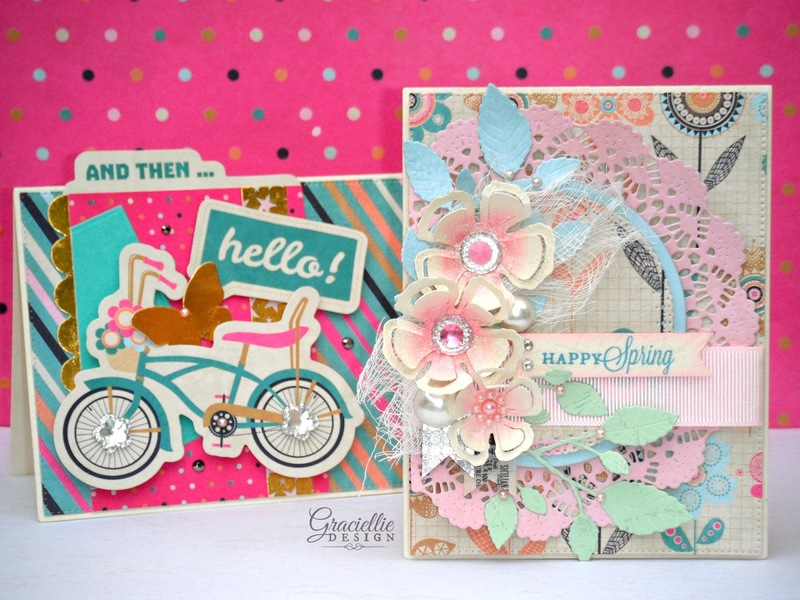 Using the versatile Flutter Collection Kit by Fancy Pants Designs I was able to complete two cards, one for Spring and another one for Summer. Yes, both cards were made using papers from the same collection! This kit includes patterned and solid textured papers, decorative elements, buttons, solid and patterned gold foil cardstock and embellishments, journaling cards in three different sizes including large ones that would work perfect for a CAS card front. So, as you can see, the possibilities are endless… This is a very complete kit that gives you an incredibly diverse palette to work with and it is the kind of kit everyone need in their stash. Though it is meant to be used for scrapbooking, project life, and albums I decided to show you how much you can get from it for cardmaking too! 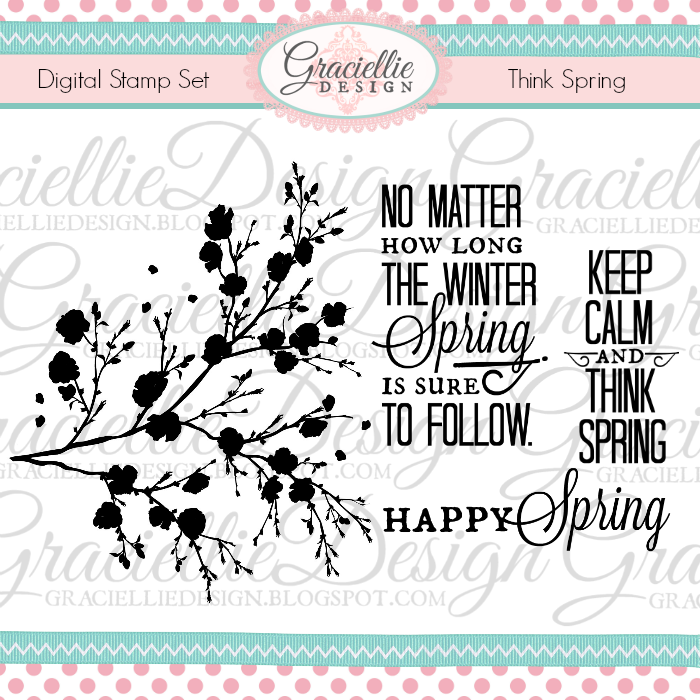 On my Spring card I used three of the softer papers in the collection and used die cuts to complete a cute and delicate design. 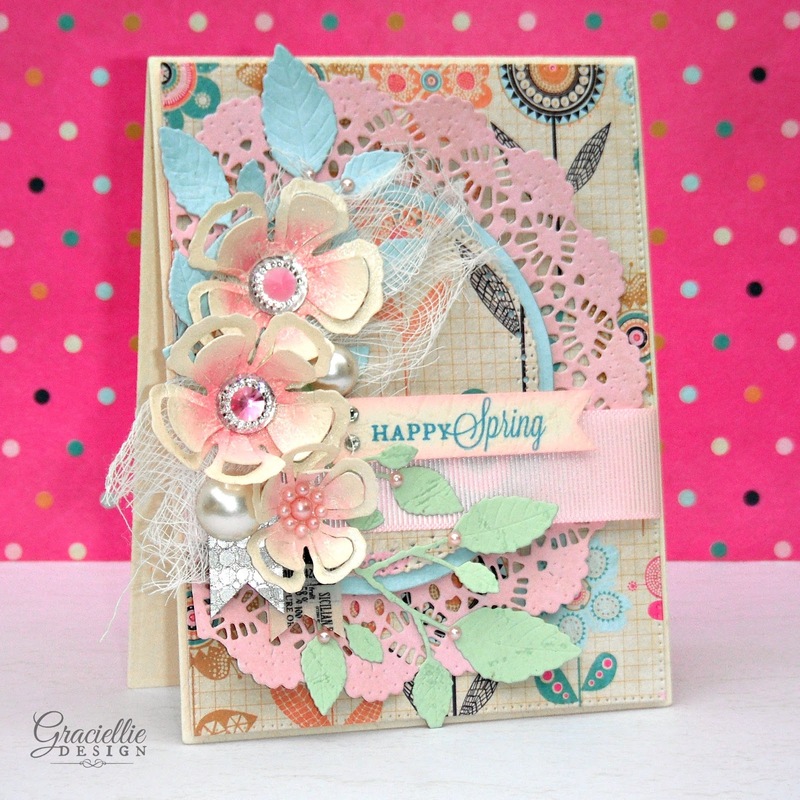 It is really great to find a kit that allows you to create a variety of projects and as you can see, I found pastel tones in this collection that work perfect for Spring. Besides the die cuts I also added a lot of jewels, a couple of banners made from washi tape and one of my digital sentiments that I printed to coordinate the rest of the design. On my Summer card I used elements and papers from the kit entirely -no die cuts-, and the result was so cute and fun. I love to use journaling cards to layer my cards and that is exactly what I did on my second card. The papers and elements complete the design so well, all I needed to do was add a few jewels and a bit of washi tape. 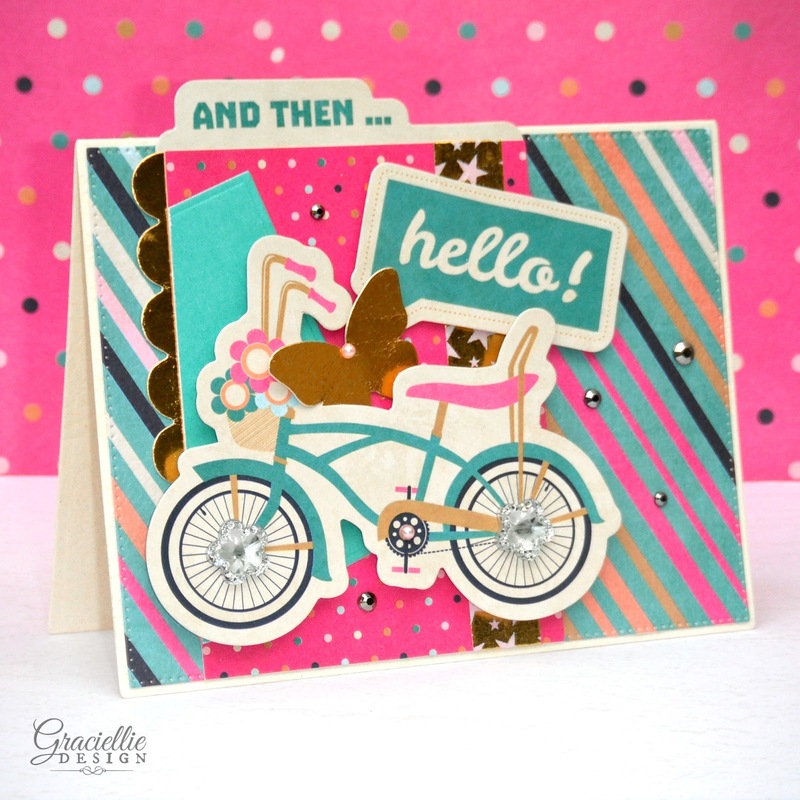 Take a closer look to the NEW digital stamp set I used on my first card here. I will be back with the second part of this short series, sharing new cards using this same collection kit. Special thanks to Fancy Pants Designs for sponsoring this series. Do you own a product that allows you to do versatile cardmaking? Let me know on the comments below. Your cards are so beautiful, I love them both! Absolutely gorgeous, so many pretty details, thanks for joining us at the PaperGirls! Great tips, Gracie! Both projects are awesome! This is so pretty in so many ways! Thanks so much for participating in the Cheery Lynn Designs Challenge this week and good luck.